Spigen air armor smartwatch case is design for the Samsung galaxy gear S3 frontier. It has the classy, matte finished case design, which does not only protect the gear but also make it stylish. The cutouts, buttons, and size of case perfectly fit on Samsung S3 gear (2017), so you can easily access every button of smartwatch. Enhance the durability of your high performance Samsung gear by adding its case, available from Amazon shopping in Pakistan. Just hit order now and get it at your doorstep with cash on delivery facility. 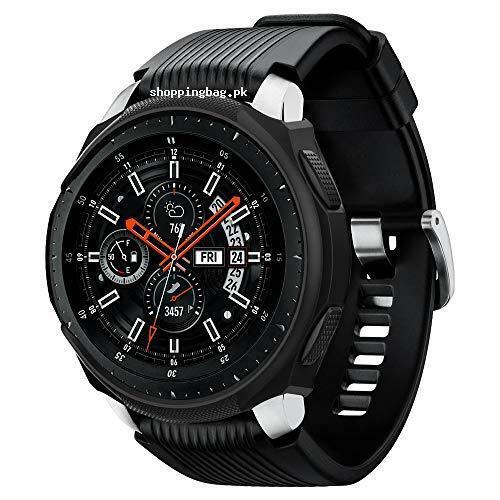 Compatible with Gear S3 Frontier (2017). Device Not Included.